TIMBER, GLASS, SECURITY SCREENS, STEEL PANELS, UPVC DOORS AND WINDOWS. Giving YOU the the peace of mind knowing your cat can come and go as they please!!! Offering a professional Cat Flap Service throughout the North West. As Manchesters Number 1 cat and dog flap installers we realise that you, our customers don’t want to have to wait for their cat flaps to be installed and as such we make great efforts to ensure that our fitters can assist in getting your requirements completed within the shortest possible time. We ensure to keep the cost down and give you value for money. 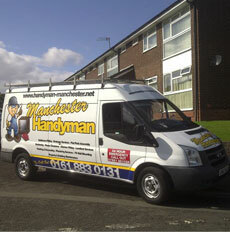 Manchester Handyman is Manchesters leading pet door, dog door and cat door installers. we can give specific and relevant information for specific doors for you cat or dog. Please call us with any inquiries about installing pet doors. We have over 10 years experience installing cat flaps, cat doors, doggie doors and dog doors. All pet doors dog doors and cat door products include a 12 month manufacturers guarantee. We install pet doors through glass windows, glass doors, wooden doors and security grilles. If we need to replace the glass to fit the petdoor our glazier can do that at the time of fitting the petdoor. We only supply & fit what we consider to be the best quality pet doors available on the market today. Manchester Handyman has been supplying and fitting pet doors for the past 10 years call us for the right advice on selecting the correct size of Cat door or dog door. Good luck with your business Mark – I am very impressed and grateful. Hope this helps, especially if anyone else lives in an old style 70’s house with original features and fittings! !